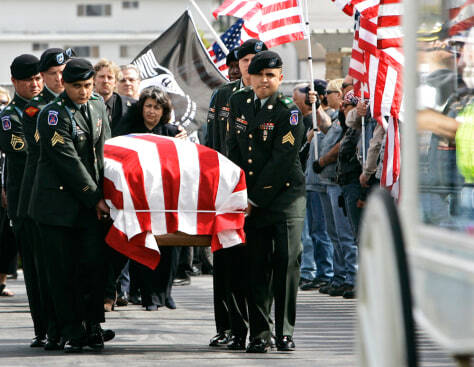 A U.S. Army honor guard from the 10th Mountain Division at Fort Drum, N.Y., carries the casket of Cpl. Joseph Anzack in Torrance, Calif., on June 1. Anzack was killed south of Baghdad in May.